As your Chesapeake VA Chiropractor, I believe both Chiropractic care and Medicine agree that every single body function, regardless of how large or small, is controlled by electrical and chemical messages that travel back and forth from the brain to all parts of the body at the rate of thousands of messages per second. 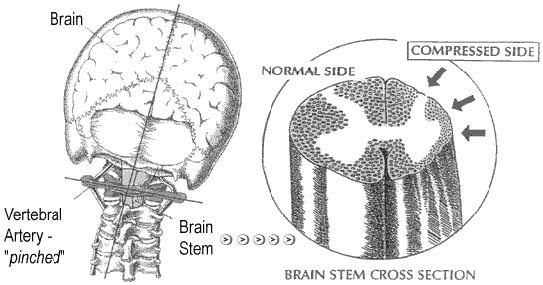 These messages pass through the brain stem, which is an extension of the brain and is located at the top of the neck where the brain and spinal cord meet. Dr. Roger Sperry, PhD., won the Nobel Prize by discovering that 90% of the brain’s activity is used to balance your body within the gravitational field of earth. 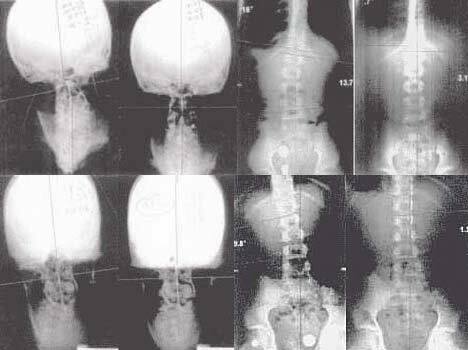 He stated that if your body is mechanically distorted (off balance), it begins to affect the other 10% of the brain’s activity, which controls all the other body functions. Body Imbalance can put stress, tension and/or pressure on the brain stem and block or impede the flow of these vital messages to the body. This interference can cause pain, sickness and suffering. NUCCA in Chesapeake can change that. 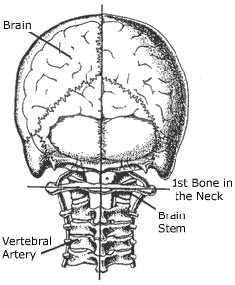 When Head Tilt develops and the body becomes imbalanced, The Brain Stem is compressed, restricting the flow of health and healing messages from the brain to that part of the body serviced by these compressed nerves. This can cause pain and suffering and decrease the quality of your life. The NUCCA Spinal Correction, which is painless and barely felt by the patient, is a specialty in the field of chiropractic, designed to restore body balance and normalize the flow of healing messages from the brain to all parts of the body so it can reactivate it’s natural self-healing process. A Chesapeake NUCCA spinal correction requires no cracking, twisting, or popping of the neck or back. This is possible because of the precise X-ray analysis using physics and mechanics to calculate the exact formula used for each spinal correction. No two formulas are the same, each one is developed for the individual person with over 10,000 combinations possible. Published research studies have shown that when body balance is restored, the body enters a healing cycle that alleviates pain and symptoms, elevates the immune system, increases blood and oxygen circulation, normalizes nervous system communication and creates more optimum body performance. The Upper Cervical Spinal Correction procedure is designed to re-position the weight of the head (10 – 14 pounds) over the center of the neck to restore the body balance. Chesapeake NUCCA removes spinal cord pressure and reactivates the normal transmission of the brain messages to the affected part of the body, so the natural self-healing process can begin! NUCCA spinal corrections do not treat any specific condition, nor does it claim to cure any ailment. It simply removes interference from the brain stem and allows the body to heal itself. Through Chesapeake NUCCA care, we can eliminate the need for medication and surgery in many cases. The NUCCA spinal correction is the most powerful tool in healthcare today! Left: Before and immediately after upper cervical correction Right:Before and approximately 4 months after correction. The upper cervical correction effects the alignment of the entire spine. Call your Chesapeake Chiropractor now to schedule an appointment and learn more about Chesapeake NUCCA care!